Searching for any job online has become a usual practice for many people, especially those, who directly contact their clients and prefer working with them without any middlemen. Those online job searching services may substitute any agency. In fact, they are even better than those always busy and sometimes even arrogant agency workers, who take ages to match a babysitter with at least one family and sign her up for a job interview. Besides, they often don’t really care which babysitter gets the job and if they spread the work opportunities and job interviews among babysitters equally. So, their effectiveness is doubtful, not mentioning the fact that you’re supposed to pay for their services. Their fee is hidden, as it’s included into the reduced hourly payment rates. Most agencies also require that their nannies should have at least two references from the previous families they’ve worked for. So, first-time babysitters won’t even be able to address their services. And that is really upsetting. How are you supposed to gain work experience when you’re not accepted to do a certain job due to the fact that you have no experience? Maybe, you’re a pre-school or school teacher and you’ve been working with kids for a long time now. But, just because you’ve never worked as an actual babysitter or nanny before, you won’t get a chance to use the agency’s services. Isn’t it ridiculous? That’s why I suggest that you should take up the case and start looking for a job on general or child care oriented job searching/hunting websites or creating your own babysitting profile. So, forget about numerous leaflets and newspaper ads and start looking for a babysitting job online. 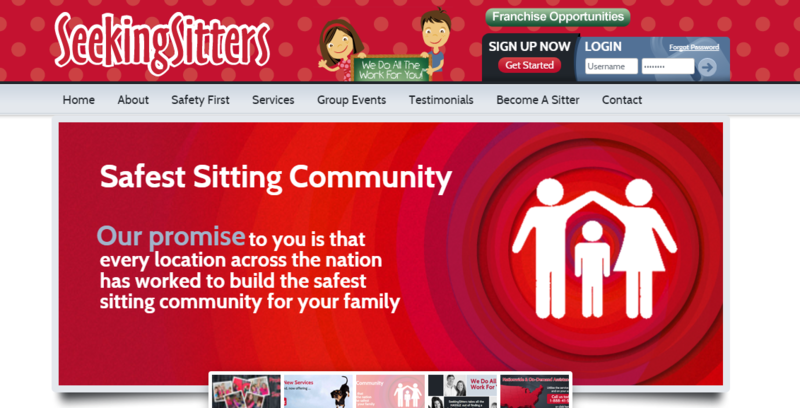 Sittercity.com – a babysitting job finding website, where parents post their ads to find a babysitter for their child. 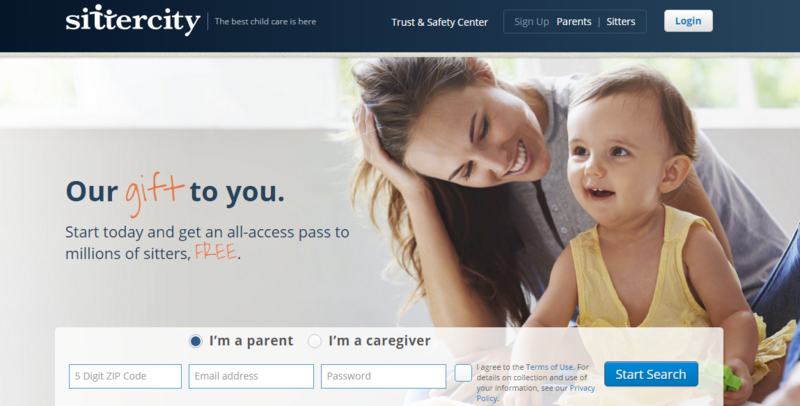 Caregivers create their profiles there to make the parent’s task a little bit easier. This site features parent reviews, which are quite helpful if your previous clients gave you positive references they may post. Location search is enabled as well. 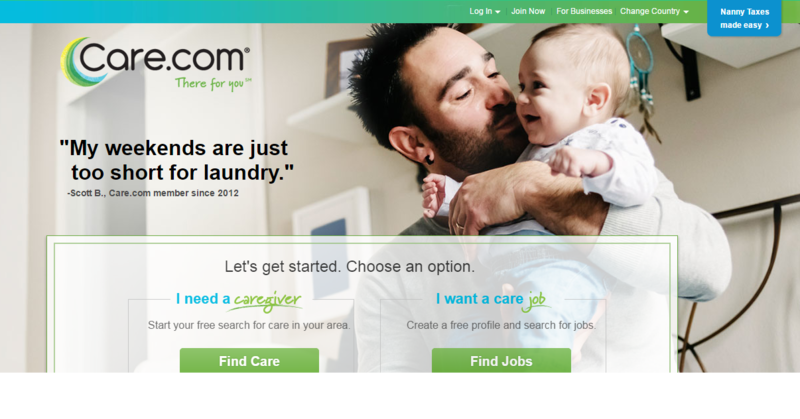 Care.com – provides an opportunity to find various care services, including babysitting. But, if you’re a daycare worker/owner, or if you specify on providing your services to children with special needs, or if you’re able to ensure out-of-home care, this website seems like a perfect place to post your ad on. Moreover, it provides job finding/requiring opportunities in pet care, adult and senior care and even home care services. That might be comfortable for multi-functional professionals or businesses. 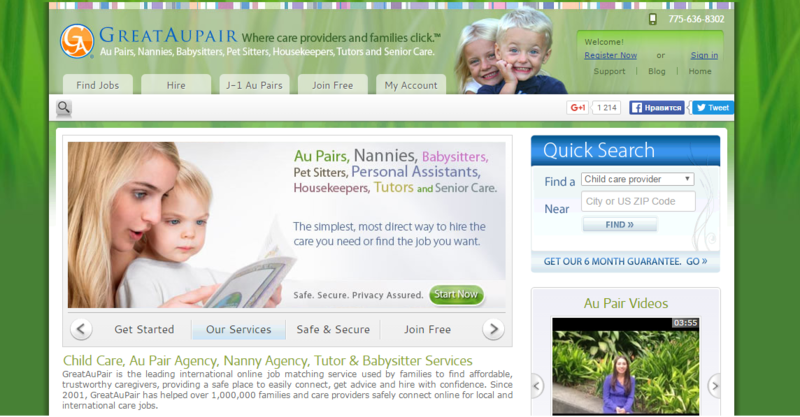 Greataupair.com – matches care givers with their potential employers for about 15 years. Concentrates on helping people find affordable, yet reliable and trustworthy babysitting, tutoring, and other child care services. Features an auto-respond option, as well as various customizable search opportunities. Au pairs, elderly care specialists and cleaning companies/professionals may find job or create their profile here as well. Urbansitter.com – was founded by caring and experienced parents, who wanted to help their fellow friends ensure proper attention to their children when they couldn’t stay with their little ones themselves. 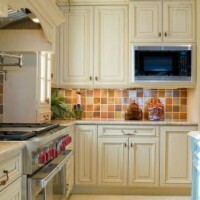 Operates within 60 cities all over the United States, includes online payment and booking services. Concentrates only on connecting parents with babysitters and nannies. Quite simple to use and provides quite impressive response guarantees. Seekingsitters.com – provides an opportunity to find an occasional or full-time babysitter/nanny, features advanced clients’ support for both babysitter looking for a job and parents. It has various customizable search, online payment features and provides different job programs, so you can find what suits you best. HireRush.com – the site, where mainly professionals in different spheres, including child care, create their own business profiles to get hired by people, who need their services. It also connects them with those, who need a certain job to be done, as HireRush.com accepts the job requests from potential employers as well. The fact that this website is not exclusively babysitting oriented may be even more beneficial for you. Parents may stumble upon your babysitting profile while looking for a carpet cleaner, a moving company or a window repairer. You may create not only a babysitting, but also tutoring profile here as well. Multifunctioning specialists find it really convenient. Besides, you can promote your daycare, foreign language or musical instrument classes in separate categories of services on HireRush.com. 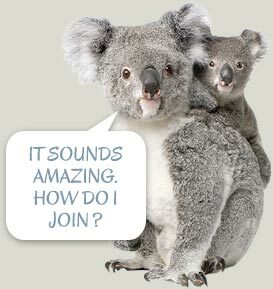 The great news is that creating your own profile and signing up is completely free! This online job hunting website has a convenient feature, which enables location based search. It actually increases your chances to get hired as a babysitter, as your profile won’t get lost among other professionals from different cities. Moreover, people may call you directly from the site, which enhances the chances of being contacted as well. And after that phone call, it’s your turn to make everything possible and impossible to convince those parents that you’re worth hiring. It’s definitely better to make the full use out of those services, especially considering the fact that most of them are completely free. The more ads and profiles you create, the higher the chance that potential clients will notice at least one of them. So, go ahead and conquer the web for greater job opportunities.